RIPPED FROM THE PAGES was simply a wonderful book. 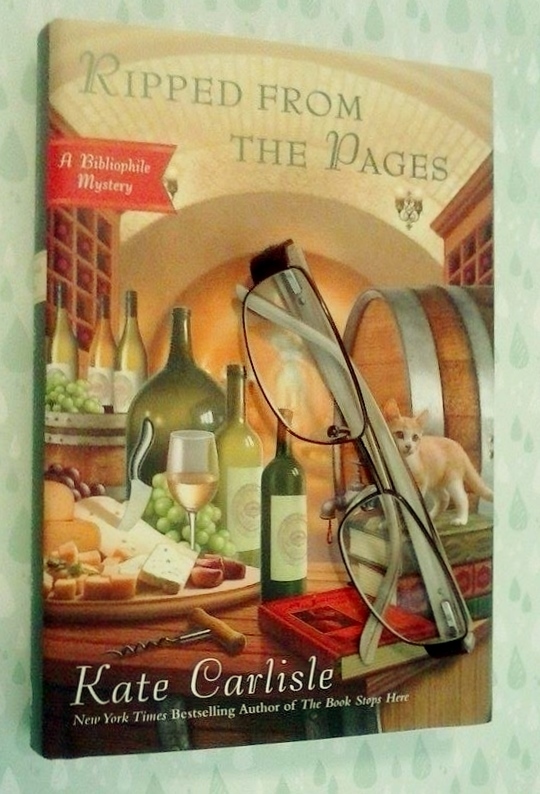 Author Kate Carlisle has done another fantastic job of penning an edge of your comfy reading chair mystery. Brava! I really enjoyed the excavation and discovery of the hidden room with all the amazing treasures including, but certainly not limited to, rare books. It’s the sort of place many of us would love to discover, with the exception of the body. Who am I kidding, that would be pretty exciting too, wouldn’t it? Ms. Carlisle’s descriptions of the room were so vivid I could see it as I read. It was so easy to picture myself in the center of it all. My mind began working right away on who the body was, how it got there, and who was responsible. The characters in the series are so easy to connect to and are a lot of fun to read. As always, it was a delight to spend time with them. 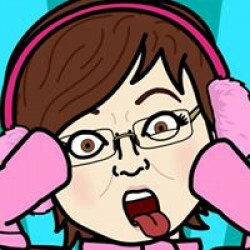 Brooklyn’s (the lead character) mom is a hoot. I thought my Mom could be ornery, but this lady is a real handful! Filled with tons of twists and turns, this was a thrilling read that culminated in a satisfying reveal. 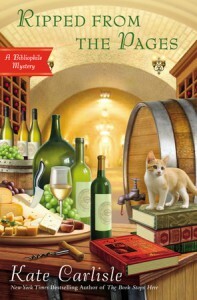 If you’re a fan of the Bibliophile Mystery series, you are going to love this installment! If you haven’t read the series, you can start with this book and not feel too lost. It will however make you want to go back and start the series from the beginning. If you’re looking for a great weekend read, you are going to want to pick up a copy of RIPPED FROM THE PAGES.